Trump Sets Into Motion $50 Billion in Tariffs on Chinese Goods. How Will China React? 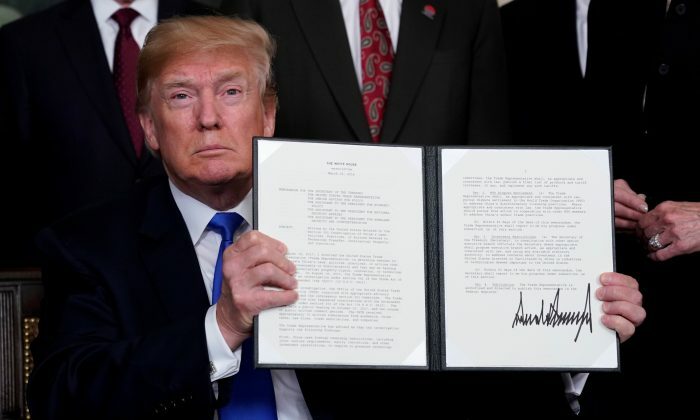 President Donald Trump has just signed a memorandum to impose tariffs on Chinese imported goods worth about $50 to $60 billion annually as a penalty for China’s theft of American intellectual property (IP). The decision was made following the United States Trade Representative’s (USTR) “Section 301” investigation into China’s trade practices involving the theft and forced transfer of American IP. A list of 1,300 targeted products will soon be released by the USTR office headed by Robert Lighthizer. He has previously said the tariffs will target China’s high-tech sector. The United States also plans to sue China at the World Trade Organization (WTO) for its trade violations regarding IP theft, according to a report by The Wall Street Journal. For some numerical perspective, the annual cost of IP theft to the U.S. economy is estimated to be as high as $600 billion, according to the IP Commission, an independent group of experts who investigate the theft of American IP. China is the world’s top IP infringer, responsible for 50 to 80 percent of all IP theft costs, the Commission estimated. 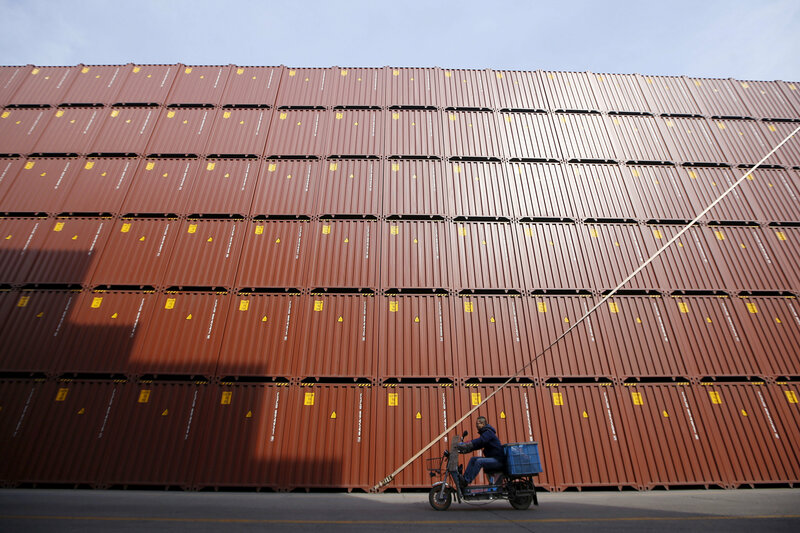 Meanwhile, the U.S. trade deficit with China has reached an all-time high of $375 billion. The tariffs won’t be imposed immediately. The public will have a chance to comment on the proposed tariffs before they are finalized. However, the news has already triggered fears of Chinese retaliation. China’s foreign ministry spokesperson, Hua Chunying, said on March 21 that while China does not intend to start a trade war, it is also “not afraid, and will not hide” from it, according to Voice of America. Meanwhile, Beijing’s ambassador to the WTO, Zhang Xiangchen, told Reuters in an interview on March 22 that China was considering filing a WTO complaint against the newly-announced tariffs. Some analysts have predicted that China may hit back with tariffs on America’s top exports, such as soybeans and pork products. Agricultural products make up most of U.S. exports to China, totaling $21 billion in 2016, according to the USTR office. Others, however, believed China would show restraint. Hong Kong economist Andy Cheuk-Chiu Kwan told Radio Free Asia in a recent interview that “China will not have an intense counter-attack,” because “if everyone did it, everyone would die together.” He predicted that if tariff fights persisted, stock markets would suffer. During Trump’s announcement, he also expressed the possibility of a compromise. “We’ve spoken to China and we’re in the midst of a very large negotiation. We’ll see where it takes us,” he said. Former British Chambers of Commerce economic analyst Wu Kegang believed the real purpose behind the tariffs was to pressure Beijing into making policy changes regarding foreign firms operating in China—for instance, ending the demand that foreign firms transfer their technology to domestic joint-ventures in exchange for market access. Forced technology transfers had been a point of frustration for many foreign businesses. In January 2017, the Chinese regime mandated that joint ventures demonstrate they have mastered all the technology for “new energy vehicles” before getting permission to produce the cars—a policy that concerned many European auto manufacturers.